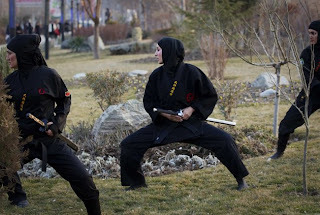 A Ninjutsu practitioner participates in a sword drill as members of various Ninjutsu schools showcase their skills to the media at a park in Karaj, 45 km (28 miles) northwest of Tehran February 13, 2012. 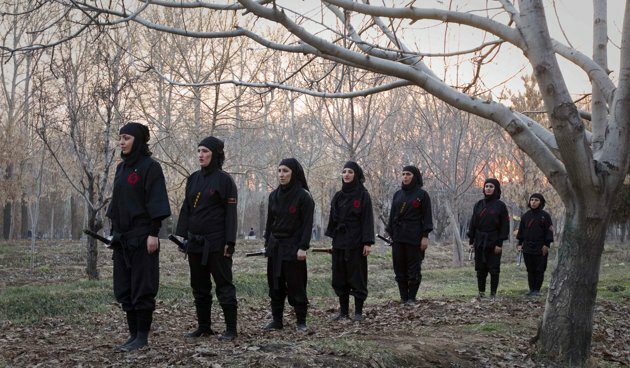 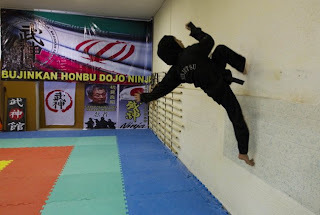 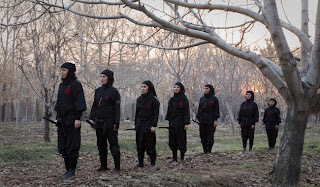 Currently about 3000 to 3500 women train in Ninjutsu in independently run clubs throughout Iran working under the supervision of the Ministry of Sports' Martial Arts Federation. 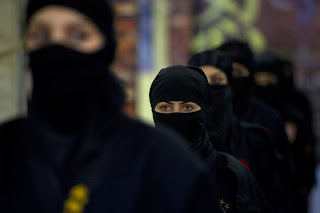 Picture taken February 13, 2012. 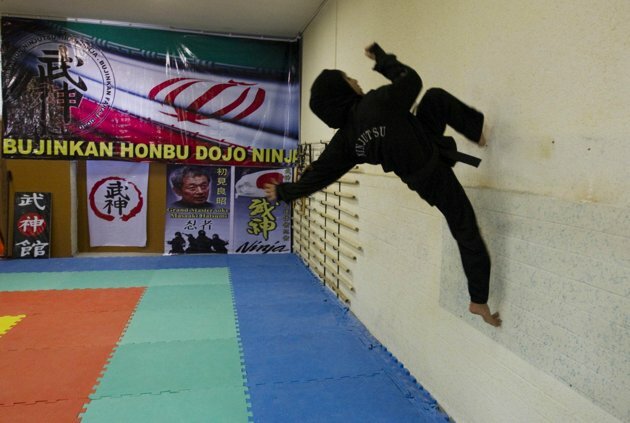 A Ninjutsu practitioner swings from a rope to attack as members of various Ninjutsu schools showcase their skills to the media in a gym at Karaj, 45 km (28 miles) northwest of Tehran February 13, 2012.